Greatly improved adhesion to a wide range of substrates including dense concrete, steel, tiles etc. Greatly improved resistance to many chemicals- ideal for use in dairy parlours etc. SBR Bond is also freeze thaw stable. As an admixture for mortar/screeds/renders. As a bonding agent for screeds/renders. As a primer/sealer in tiling applications. As a flexibliser for cementicious based tile adhesive when tiling on wooden/asphalt floors. In addition, SBR Bond has the advantage over PVA bonding aids in that it is not adversely affected in wet conditions and is therefore recommended for exterior use. All surfaces must be clean, dry and free from dust, grease and other contaminents. A low water:cement ratio allows a minimum of delay when overcoating is required. Improved chemical, abrasion and impact resistance . Thinner screeds, achieving reduction in weight and savings in materials. Goods underlay for epoxy surfacing. SBR Bond has a long and successful track record of use in the construction industry. To obtain maximum performance from mixes modified with SBR Bond it is important that attention is paid to the quality of the other materials used. Sand should be well washed and sharp. The grade of sand will depend upon the mix design. Cement Portland, High Alumina and sulphate resisting cements are compatible with SBR Bond. Portland cement should be fresh but cool. Cement containing air set lumps should not be used. Coarse aggregate e.g. Granite chippings. These should be dust free. Air entraining agents These should not be used. The background must be capable of withstanding all stresses which will be put onto it and contain the appropriate joints. If it is to receive a tipping the background should have a compressive strength greater than 30N/MM² and/or a tensile strength greater than 1N/mm². Floors should be mechanically prepared, eg scabbled or shot blasted, to give an aggregate exposed surface. Dust should be removed by vacuum, not compressed air. All contaminants such as oil, grease, or any surface laitence must be removed to ensure adequate development of bond when the topping is applied. A water drop test is the simplest method to determine whether water repellent contamination is present. Application of a primer coat is necessary to obtain maximum adhesion of the topping or screed. All parts are by volume of uncompacted material. As a rough guide, 1.2 litres of SBR BOND will cover 1m² of 12mm thickness using the above mixes. Mixing procedures for topping and screeds containing SBR Bond are similar to those used to conventional compositions, with gauging water partly replaced by SBR Bond. However, mixing time should be minimised to limit air entrainment. Mixing should be carried out in a forced action mixer. The usual procedures is to pre-mix sand and cement in the mixer, pour in the SBR Bond, mix for 1 - 3 mins, then slowly add water to the required consistency. NB. Over addition of water causes rapid thinning of latex modified mortars owing to the plasticising effect of the latex. The mix has a pot life of approximately 30 minutes and batch size should be calculated accordingly. 1. Apply topping or screed onto wet or tacky primer. 2. Compact and level with screed bar. 3. Finish with steel float. It is essential that the topping or screed is finished as the work proceeds. 4. The topping or screed would be cured for 1 - 2 days using conventional techniques. Curing should be started quickly after application. Joints in the screed or topping should coincide with the joints in the background. It is easier to lay the mix if the ambient temperature is below 25°C. If overcoating the screed, oleoresinous floor finishes should be avoided. It the water drop test indicates the presence of water repellants, it may be more suitable to use and epoxy primer in place of the latex/cement primer. All tools should be cleaned immediately after use with water because hardened SBR Bond modified toppings and screeds have excellent adhesion and are therefore difficult to remove. Solvents such as white spirit used with coarse wire wool help to remove partially hardened mortar. 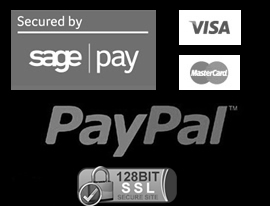 SBR Bond is best stored at moderate temperatures to avoid the possibility of permanent damage occurring due to prolonged heat or excessive cold. However if frozen, the latex should be thawed slowly. 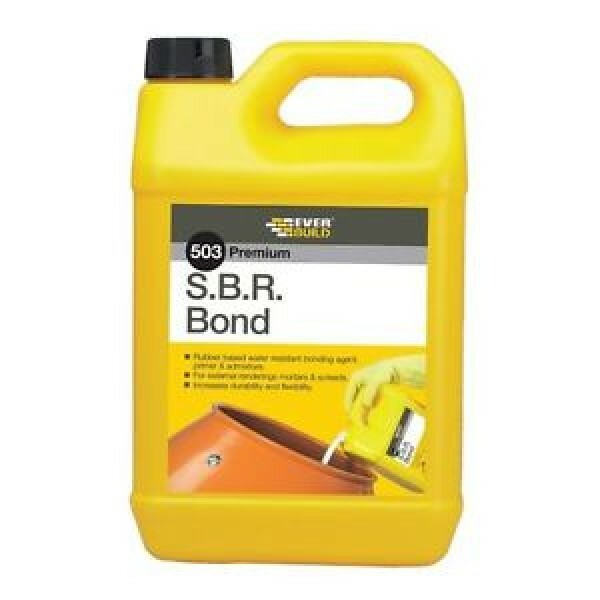 SBR Bond should preferably be stirred before use. SBR Bond contains sufficient bactericide to preserve the latex under normal storage conditions.